You can make tea out of anything these days. Mushrooms are no exception. 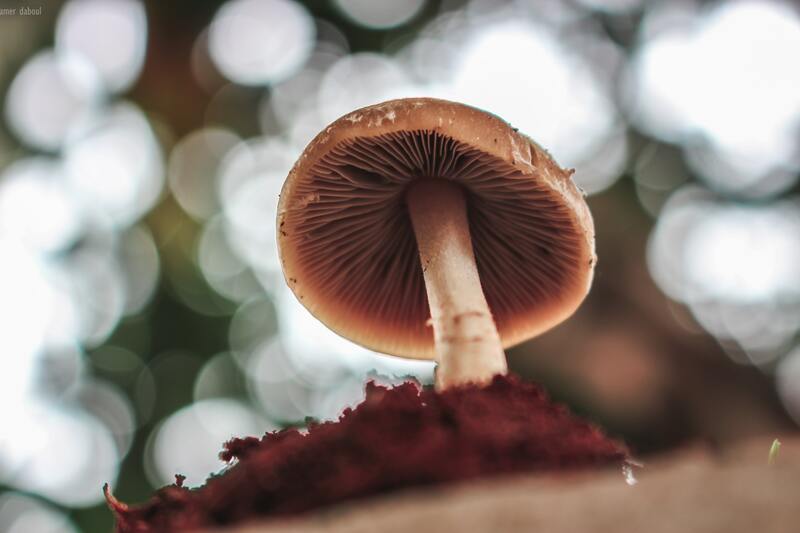 These magical fungi can help increase alertness and provide mental relaxation. Mushroom tea is popular in Russia and Baltic countries where it is used to treat digestive problems, heart disease, and cancer. Scientific research on these magic mushrooms is still ongoing (1). However, mushrooms are widely revered in traditional societies and staples at health food stores. There are several different mushrooms that can be used to brew magic mushroom tea. In this guide, we'll break down the main types used to brew mushroom tea. 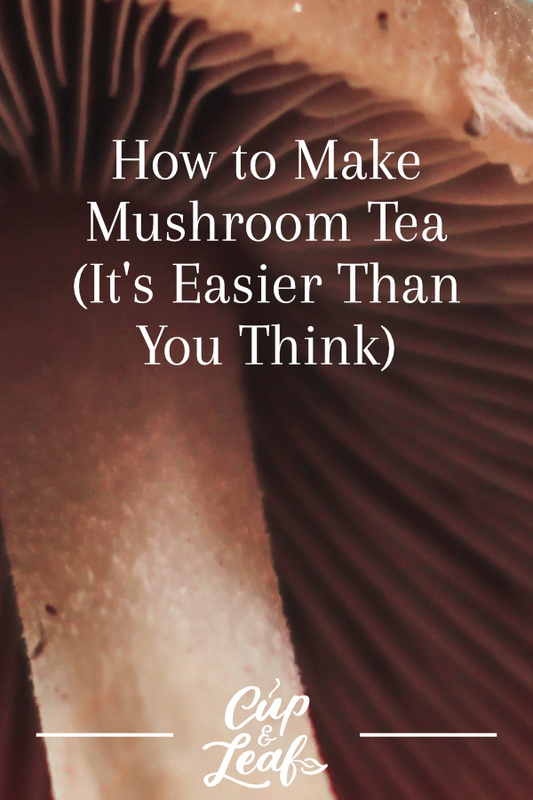 Follow our handy mushroom tea recipes or add your own spin to enjoy this unique, healthy tea. 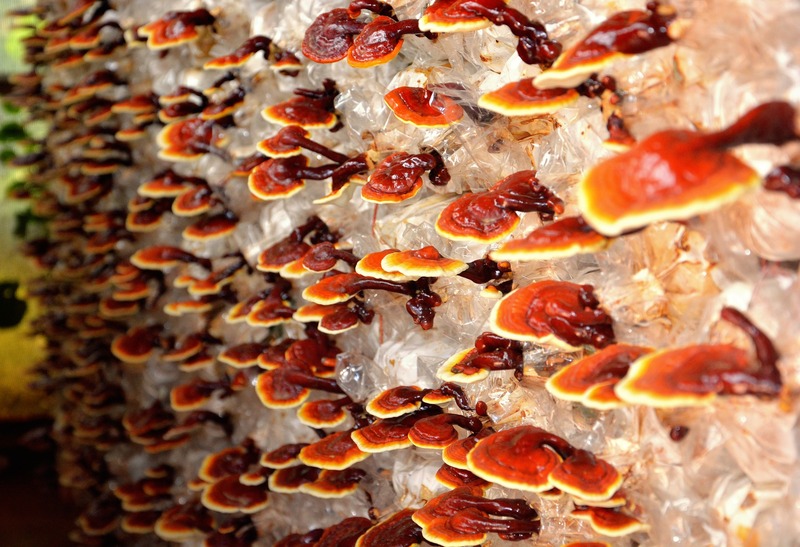 More than 100 different types of mushrooms are used in Chinese traditional medicine to treat a variety of illnesses. They're often sold as extracts or consumed dried. The tea form is a delicious way to consume mushrooms and is simple to brew. The first step in brewing mushroom tea is deciding which mushrooms to use. Here are the five most popular. 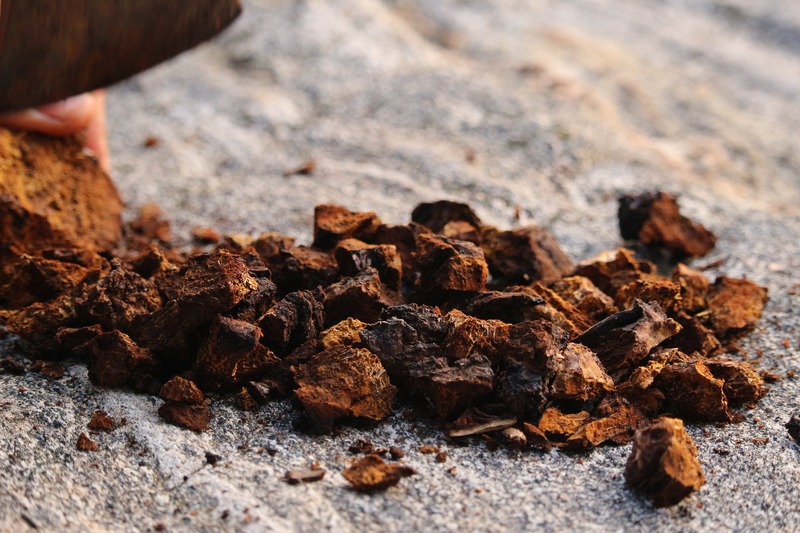 Chaga mushrooms are known by the botanical name Inonotus obliquus. These mushrooms grow on the bark of birch trees and commonly found in North America and Europe. These mushrooms are particularly popular with Russians and can be found in many tea houses across the vast nation. Chaga mushrooms are black on the outside and vibrant orange on the inside. They're used to boost immune system health and are packed with antioxidants. One of the main chemical compounds in chaga tea is betulinic acid. This amino acid has been linked to lower levels of LDL cholesterol and is useful in treating digestive ailments. The taste of chaga tea is mild with a slight hint of vanilla. Mushroom tea can be prepared using fresh mushrooms of chaga powder if preferred. Cordyceps mushrooms are the most bizarre and intriguing of these mushroom varieties. They are parasitic in nature, growing from the bodies of hosts including ants and caterpillars. Spores from cordyceps plants enter the bodies of moth caterpillars, which burrow underground before death. The fungus then grows from the head of the deceased caterpillar in a vibrant orange stem shape. This type of mushroom essentially mummifies its host. Cordyceps mushrooms are often referred to as zombie mushrooms because of their life cycle. They're known in the scientific community as Cordyceps sinensis and in Tibet as yartsa gunbu. 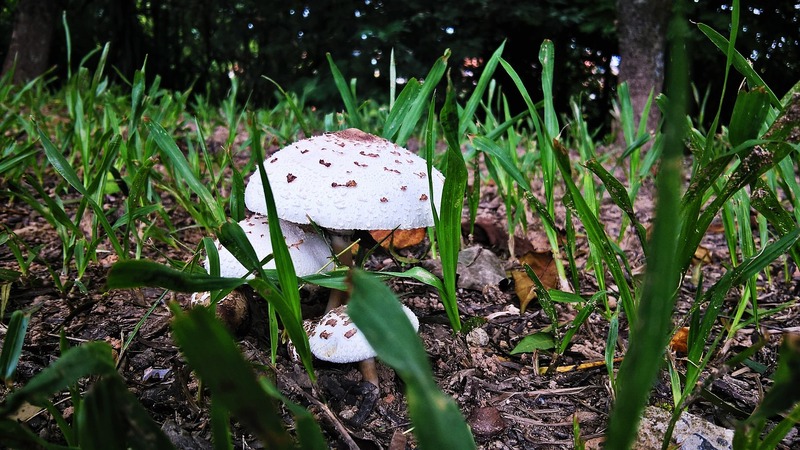 These mushrooms have been used in Chinese medicine since the 15th century. Modern medicine has found medicinal potential for cordyceps mushrooms in treating cancer, boosting energy, and improving sleep (2). Cordyceps mushrooms taste similar to ground, unsweetened cocoa powder. The mushrooms are earthy and offer a flavor profile that is nutty, savory and slightly salty. Lion's Mane derives its name from it's stunning appearance. These mushrooms feature lush tendrils that flow and ebb in the wind. The mushroom has several nicknames including Old Man's Beard and Tree Hedgehog. The plant is scientifically known as Hericium erinaceus. These mushrooms grow on both dead and decaying trees in Asia, North America, and Europe. It is an endangered species in some countries, but can be grown at home given the right conditions. The rarity in wild environments and taste of Lion's Mane lends to its luxurious nature. 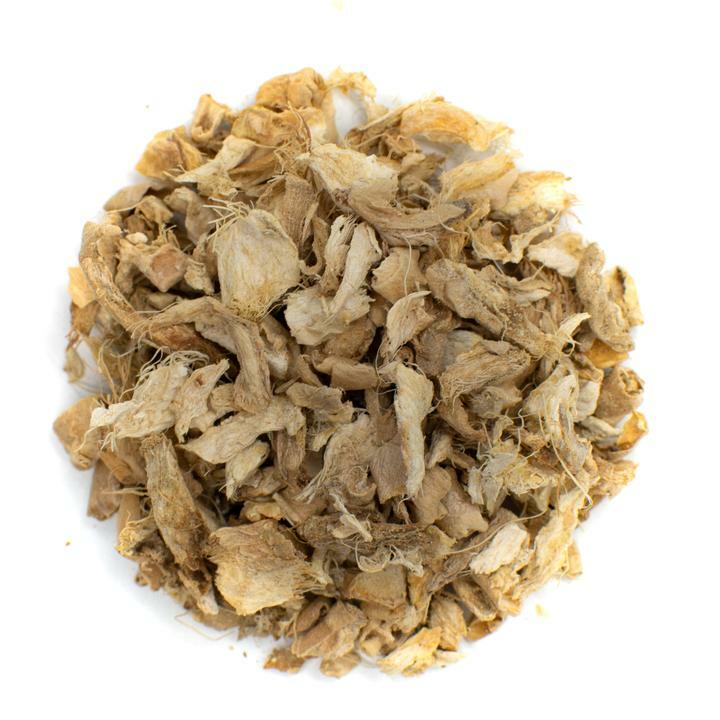 Lion's Mane is used to protect brain health and popular in traditional medicine. This mushroom has a flavor profile that is often compared to lobster. It has a sweet, savory flavor with a meaty essence. The addition of water in tea brewing turns the meaty texture into full-bodied flavor. Maitake mushrooms are known by the botanical name Grifola frondosa. These mushrooms grow in northern parts of Japan and across the United States. Maitake mushrooms typically grow on oak trees and can reach weights of over 100 pounds. These massive mushrooms have anti-inflammatory properties that help to reduce pain and discomfort. Maitake mushrooms taste sweeter than the other mushroom son this list. The flavor profile of maitake mushrooms is fruity, earthy, and spicy. These mushrooms contain the active ingredient L-glutamate, which lends a savory rich flavor known in Japan as umami. Reishi mushrooms are also known as Lingzhi mushrooms and sold under the botanical name Ganoderma lucidum at health food stores. These mushrooms grow on decaying hardwood trees found in warmer climates. They are commonly found in Asia, Australia, and South America. These mushrooms are characterized by dazzling, red tops. They grow most often as large, umbrella structures, but can also grow in the shape of antlers in some regions. Reishi mushrooms were thought to offer immortality in early forms of Chinese medicine. They contain high concentrations of antioxidants and can boost white cell production. Reishi mushrooms offer an earthy flavor. The taste is described as pleasantly bitter with woodsy notes. The meaty flavor of this tea is often balanced by adding a sweetener such as honey or almond milk. Chaga mushroom tea offers a mild flavor and can be brewed for long periods of time without developing bitter notes. This tea is typically consumed unsweetened, but you can add a cinnamon stick or maple syrup for a hint of sweetness. Chaga tea is also commonly served as an iced tea. To make this recipe an iced version, simply brew as follows, refrigerate for 3 hours, and serve with ice cubes. 1. Use an electric tea kettle, tea pot, or a large pot to heat water. 2. Use a coffee grinder to grind the chaga chunk into a fine powder. Chaga powder can be substituted for faster brewing. Chaga tea bags may also be used if preferred, although the health benefits tend to be better with pure chunks and powder. 3. Add the chaga powder to a tea infuser and place in the boiling water. 4. Let the chaga tea steep for 5 minutes. Aim for 4 to 6 minutes if using tea bags instead. 5. Pour the chaga tea into a cup and enjoy! ‍Our ready-to-use Thai Ginger Tea makes this recipe easy. 1. Heat water in a large pot on the stove until it reaches a rapid boil. 2. Add in the cordyceps pieces or powder and let steep for 10 minutes. 3. Turn the heat down to medium and add in the ginger slices and lemon juice. Steep for 5 additional minutes. Chai tea is a popular favorite thanks to its creamy texture and spicy flavor. For this recipe, we'll use chai spice mix for faster brewing. You can make your own chai spice blends at home using you favorite ingredients. Tea bags can also be substituted for easier brewing. Chai typically contains 5 staple ingredients including black pepper, cardamom, clove, cinnamon, and ginger so make sure to use these in your homemade spice mix. 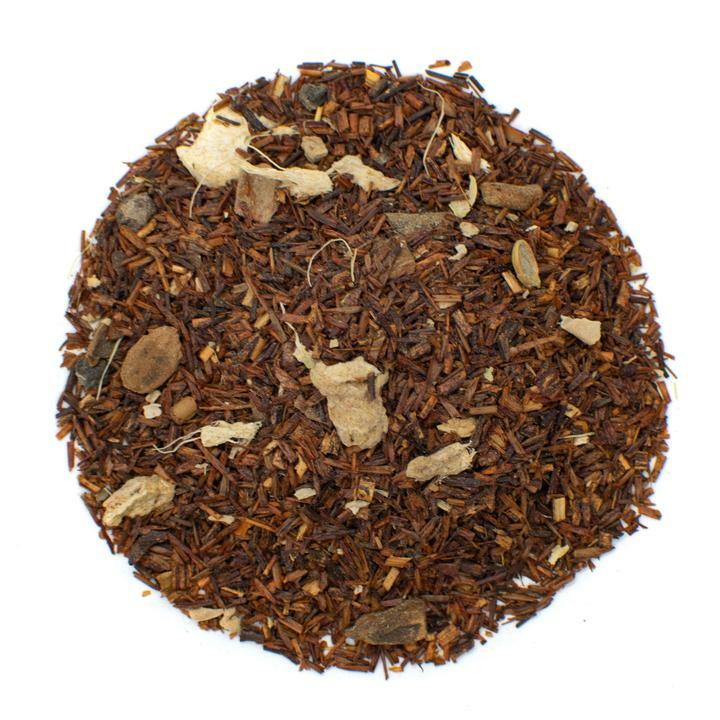 Try our Rooibos Masala Chai for a perfect blend of mellow and spicy. 1. Bring water to a slow boil and add in chai powder. Simmer on low for 20 minutes. 2. While the chai is brewing, place Lion's Mane mushrooms, coconut milk coconut oil, and honey in a blender. Blend for 30 seconds on high speed. 3. Add the blended ingredients to the chai. Mix well and serve in a tall mug. 4. Add frothed milk on top for a creamy texture or sprinkle a little cinnamon for garnish. Green tea is a healthy powerhouse and research shows it can help you live longer and healthier. There are several varieties of green tea and all can be used for this mushroom tea recipe. Japanese green teas will lend a sweeter, more vegetal flavor while Chinese green teas will be more earthy and bold. Shiitake mushrooms can be substituted for maitake if needed. 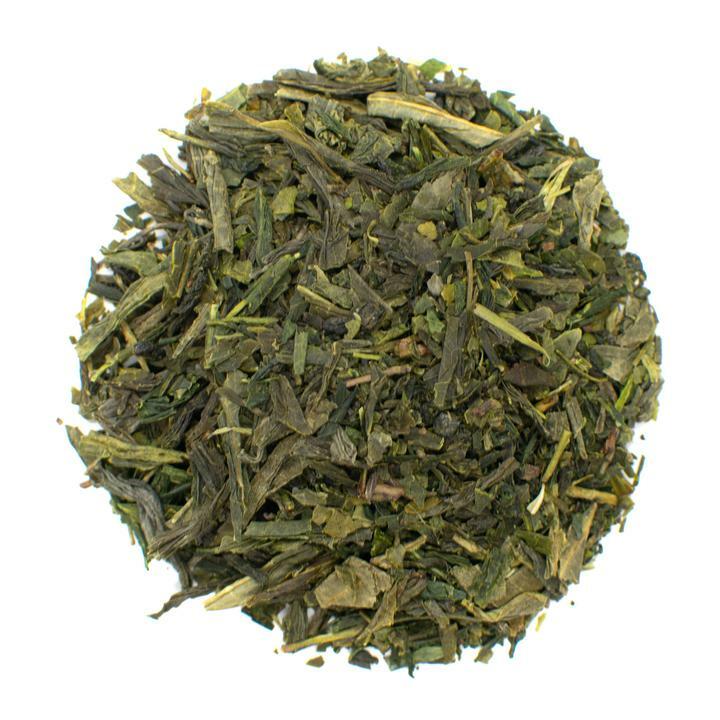 For this recipe, try Sencha Fuji Green Tea, which sparked the booming green tea economy in Japan centuries ago. 1. Heat water in a large pot until it reaches a boil. 2. Add the Maitake mushrooms and steep for 10 to 15 minutes. 3. Turn heat down to medium before adding vanilla and green tea leaves. 4. Steep for 5 more minutes. 5. Strain the tea leaves and mushroom pieces using a fine mesh strainer. Enjoy! Reishi mushrooms tend to have a slightly bitter flavor, so most recipes even this out by adding sweeteners. In this recipe, we'll add the sweetness of honey with the spicy and earthy taste of marjoram. This results in a smoother mushroom tea. You can also substitute marjoram with peppermint, basil, rosemary, or dried flowers such as jasmine and chamomile. 1. Bring 8 ounces of water to a rapid boil in a tea kettle or stovetop pot. 2. Once the water is boiling, add the reishi mushrooms. 3. Turn the heat down to medium high and add honey, oil, and leaves. 4. Steep for 5 to 10 minutes. Taste the concoction every 30 seconds after 5 minutes to find the perfect flavor for your tastebuds. 5. Serve in a drinking mug and garnish with a slice of lemon or add a dash of fresh lemon juice. Mushroom use dates back centuries. Traditional medicine prescribed these ingredients for a variety of ailments. Medicinal mushroom tea is a delicious way to get the health benefits of mushrooms without having to cook up a full meal. 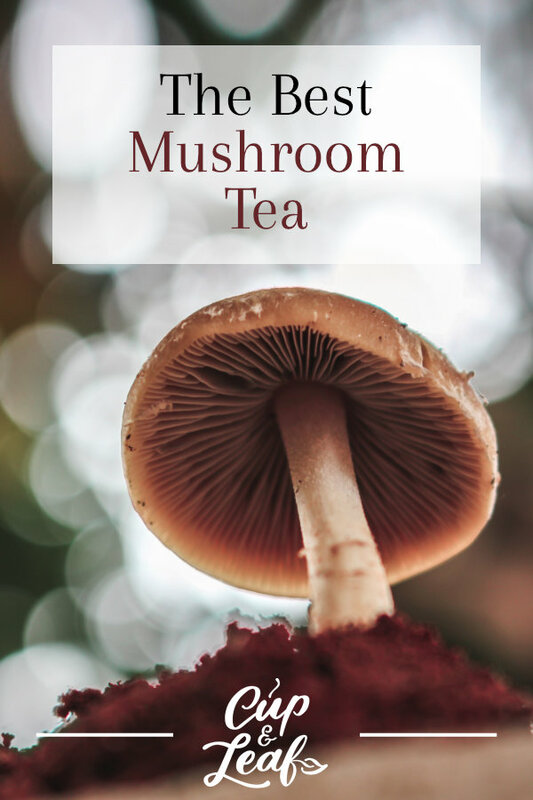 Mushroom tea preparation takes minutes and only a few basic ingredients so you can drink this tea at home or on the go in no time. Mushroom tea is extremely versatile. Use one of these five common mushrooms or branch out with psilocybin mushrooms or other favorites such as morels. These recipes are intended to be malleable so you can mix it up with ingredients you love. Mushrooms are hearty, earthy ingredients that pair well with both spices and herbs. Use flowers to sweeten these mushroom teas and add a dainty touch. Spice things up by adding cayenne and black pepper to these mushroom recipes. The possibilities—and flavors—are endless!